When I was a newly crowned mom (haha), I felt very isolated. It felt like the first three months of Spawn’s life was my version of going to battle 24/7. I didn’t sleep, I barely showered, I ate like a truck driver. Then my friend Sheryl showed me the way. She introduced me to the ring sling and encouraged me to sling clinic at The Pump Station. There I learned how to wrap Baby Spawn in a Boba Wrap. I was hooked. It felt like freedom. 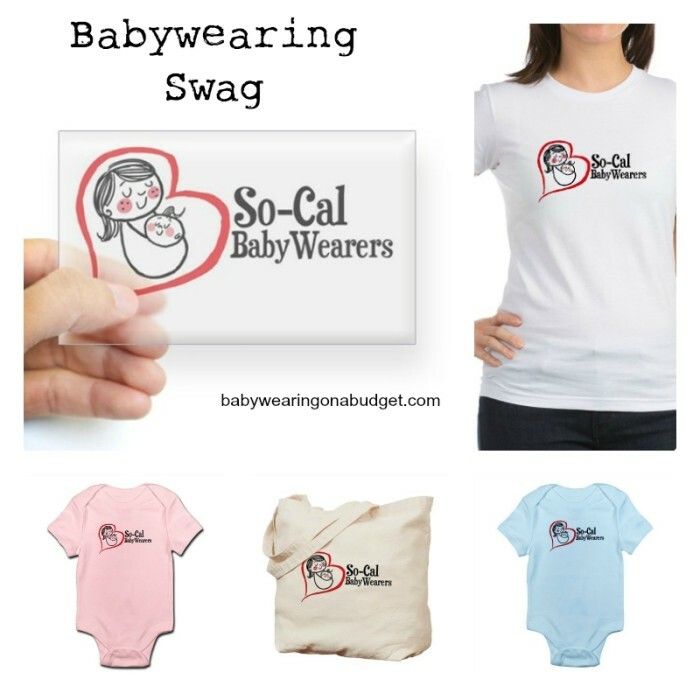 A couple months later, I went to my first So-Cal Babywearers (SCBW) meetup. I learned more about carriers and wraps. I was so excited to be stroller-free and mobile! So here’s the post where I “give back” by highlighting one of my favorite Facebook groups, the So-Cal Babywearers. If you live in Southern California, I highly suggest you attend a meetup and learn about which wraps, carriers, or slings work for you and your baby! They’re free and the educators are friendly and so helpful. I was very intimidated to attend my first meetup, and I’m so glad a mom came up to me and introduced herself. She then showed me how to do a rebozo! Check out these great logo’d SCBW items! Proceeds will help support the group. The group also sells decal stickers where you can put on your car window. I had a hard time trying to get one on my car, so I’m stoked that there is also a “regular” sticker I can just unpeel and stick. How cute is this onesie? I love this logo. What a fun way for your baby to show off their swag (and swaggggg). If you were to order an item, what would you pick? Do you belong to a babywearing group? Let me know in the comments so I can highlight your group or chapter! Disclosure: Post contains affiliate links. If you purchase the items, I receive a small commission to support running this site. Thank you.